Adalberto Garza graduated from Texas A&M College of Veterinary Medicine in 1979. Since graduation, he has been practicing in the Rio Grande Valley, concentrating in the area of equine and small animals. Dr. Garza is a member of the American Veterinary Medical Association, life-time member of the Texas Veterinary Medical Association, and member of the Valley Veterinary Medical association. He has served in numerous committees and as a board of directors’ member in the associations, including having been President and Chairman of the Board of the Texas Veterinary Medical Association. Community service has included serving on the Edinburg Consolidated Independent School District as a member and President, and serving in the Edinburg Rotary Club. Dr. Garza has been a member and President of the Las Porciones Historical and Genealogical Society of South Texas. He has been a recipient of the Tejano Heritage Award for contributions in the preservation of the history of South Texas. Outside of his practice, Dr. Garza is also a cattle rancher and wildlife promoter. A rare breed of cattle called Texas Reds, also known as Romosinuanos are raised on the ranch. Spare time is spent working on the ranch, enhancing the promulgation of native wildlife and introduced species. Lucas Hinojosa is an Edinburg native and 1980 Edinburg High School graduate. He attended Pan-American University for 2 years and transferred to Texas A&M University to fulfill his undergraduate pre-requisites for veterinary school. He graduated from Texas A&M College of Veterinary Medicine in 1988 with his DVM and moved back to Edinburg to start his veterinary career in a mixed animal practice. He joined Dr. Adalberto Garza after graduation and became a partner of Edinburg-McAllen Veterinary Services, P.C. He and his wife, Norma, have raised 3 children on a ranch north of Edinburg. They have been active in a Simbrah cattle operation that has yielded numerous championships throughout the state of Texas. He has been active on 4H Foundation boards at the local and state levels throughout his career while his children went through the Texas 4H program. 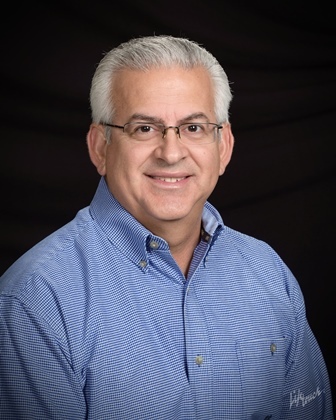 Dr. Hinojosa currently serves on the Rio Grande Valley Livestock Show Board since 2005 and was selected as the official show veterinarian in 2010. Dr. Hinojosa and his wife, Norma, are proud of their children who will all be graduates of Texas A&M, with the youngest to graduate in 2015. Their son, Daniel, graduated from Texas A&M College of Veterinary Medicine in 2013 and has joined the practice as well. They are also proud grandparents of three grandchildren. 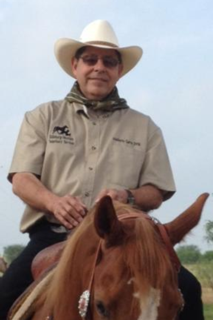 Dr. Hinojosa also enjoys hunting, fishing and golfing. Daniel Hinojosa is an Edinburg native and graduated from Edinburg North High School in 2006. Daniel is the son of Dr. Lucas and Norma Hinojosa. He was very involved in both 4-H and FFA organizations, and he worked at Edinburg-McAllen Veterinary Services, P.C. as a technician during the summers. 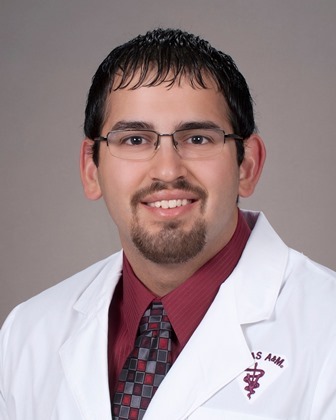 Daniel earned a Bachelorette Degree in Animal Science with a Science Option from Texas A&M in 2009 before getting accepted to the Texas College Of Veterinary Medicine. He graduated with his DVM in May 2013. In June 2013, Daniel moved back to Edinburg with his wife, Enrika Olivarez Hinojosa, and became the third veterinarian at Edinburg-McAllen Veterinary Services, P.C..
Outside of the vet clinic, Dr. Hinojosa enjoys helping the family with their registered Simbrah cattle operation. His special veterinary interests include small animal cardiology, orthopedics, and bovine medicine and reproduction.